Castling is one of the basic and important concepts in the game of chess that instantly enhances the dynamic potential of a chess player. The objective of castling is to provide safety to the King from the threat and at the same time, bring the rook, occupying the flanks, for better play in the initial stages. Tarrasch was the second best player of his day. This game effectively illustrates the importance of castling and the security of the f pawn. In the French Defense, Black allows White to get a pawn center, only to contest it later. Very sound but leads to slow positional game. Not recommended for beginners. The Bishop is in a position to attack both sides of the board. The move is often played by Black in the French Defense, with the idea of undermining d4, and further weaken White's central pawn structure. Pushing the f pawn is not advised. This exposes the King too early in the game. Black spends another move to close the e-file. Black decides to close the center. This leads to a positional struggle. 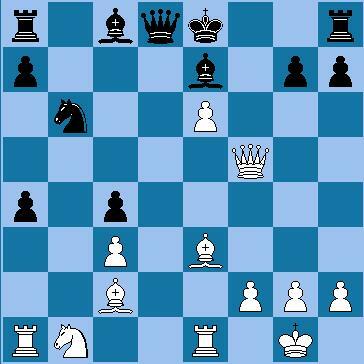 White tries to break apart the pawn structure. This takes a critical pawn off the center. Cracking the position wide open. Now White's central pawn has become extremely dangerous. If 17.....Rf8, then 18. Qh5+ g6, 19. Bxg6 hxg6, 20. Qxg6 and mate next move. Locking the enemy King in, prevents it from castling. A Queen sacrifice taking advantage of the missing f pawn. 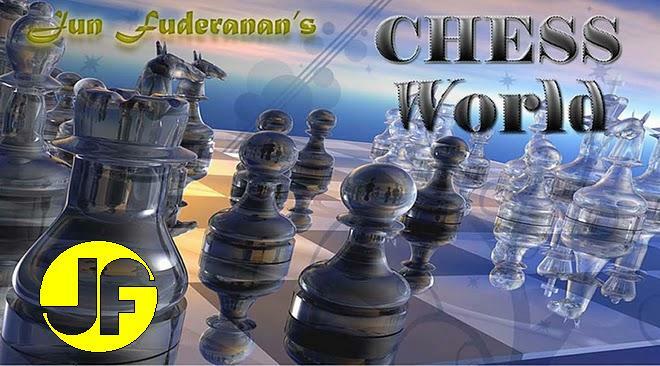 The moral of this chess game is not to push the f pawn without good reason....Castle!....and center pawns are deadly.